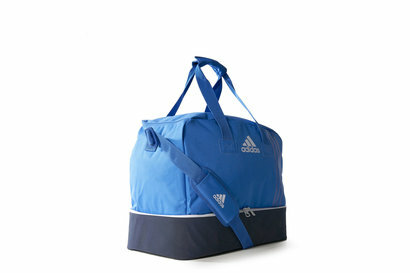 Make sure you've got everything you need for the big games with this adidas Tiro Medium Hardbase Match Day Team Bag in Blue, Collegiate Navy and White. 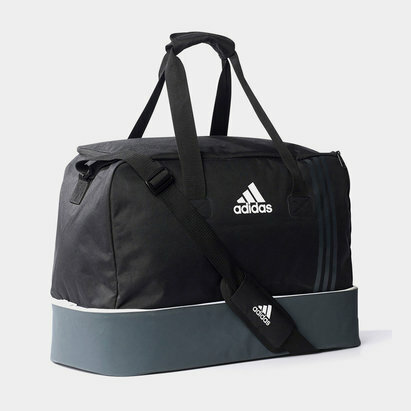 This adidas bag is made from a durable polyester and combines a easy-access opening with multiple zip pockets and a bottom zip compartment. 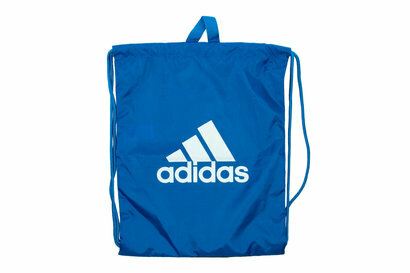 A strong shoulder strap and twin carry handles allow you to carry this bag in a number of ways. 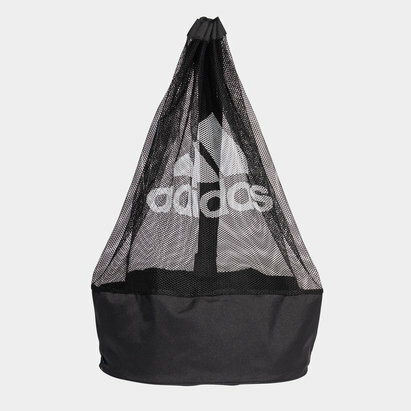 A smaller safe zip secured pocket inside the main compartment of the bag ensures your valuables are kept away from any wet gear. 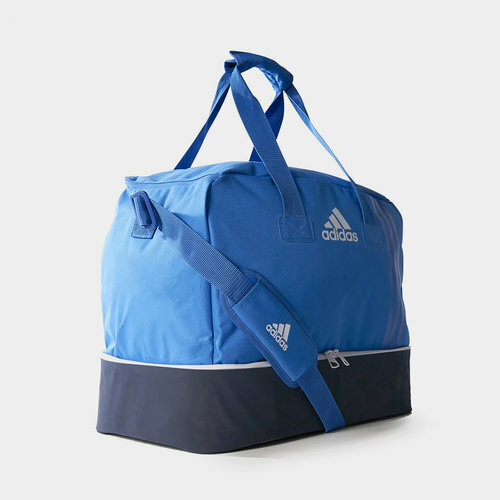 In an eye-catching blue, collegiate navy and white colour design, take everything you need for training and the big games with this adidas Tiro Medium Hardbase Match Day Team Bag.